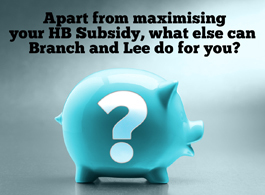 Branch and Lee Consulting Ltd offer a Subsidy Maximisation service to all Local Authorities; our aim is to make sure that you are claiming every pound that is available. In the current economic climate, ensuring that every Housing Benefit Service obtains the maximum amount of subsidy has never been so important. Yet each year, Local Government is losing out on substantial amounts of income that it could lawfully claim from Central Government. We provide a specialist and confidential service to ensure your Authority is claiming its full Housing Benefit and Council Tax Benefit subsidy entitlement. To date we have maximised subsidy for various Local Authorities to the tune of well over £3 million. Branch and Lee Consulting Ltd offer a completely free consultation in which we will examine your most recent MPF720A subsidy claim form in order to identify potential savings. After the consultation we will, if agreed, spend around two weeks at your authority identifying these lost savings. At the end of the project we produce a full paper and electronic report which identifies exactly how and where these savings are to be obtained. We also offer a follow up free of charge service in which the Authority can call or e-mail us with any queries should they arise. To date, this has not happened as we work to the Audit Commission’s strict standards and keep abreast of changes to legislation. If required, we will return to the Authority, again free of charge, to sort out any outstanding issues. We usually work on a fixed percentage of the actual increase in subsidy our work has achieved for you. Alternatively, we offer a competitive daily rate for our services. 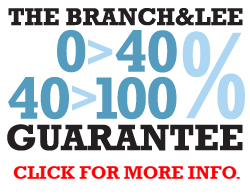 Branch and Lee Consulting Ltd is only interested in the money that it can ACTUALLY save you and this is why we only expect payment AFTER the claim has been signed off by the external auditor. In short, if we don’t save, you don’t pay. Why Use Branch and Lee? We only charge on final audited costs, or in other words, on actual savings not potential savings. Branch and Lee are fully conversant with virtually every benefit processing system and D.I.P. system. We have over 10 years Audit Commission experience. We have audited more than £2 billion of subsidy. 28 years company experience with and a proven track record with returning clients.